Loss was nothing new to an orphan like Riley. But when the online persona he’d spent years building, was ripped away by a monster with unbelievable power, everything changed. Now, he had to start from the beginning just like any other player joining Sigil Online for the first time. All the fame and fortune of a high-level character, was gone. 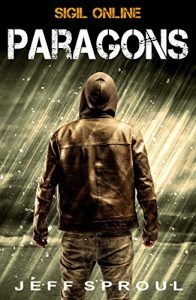 Experience the harrowing quest that will leave Riley changed forever, as he’s molded by the pursuit of the monster that took everything from him.